Single day pass to WoVoCon IV. (Saturday or Sunday). 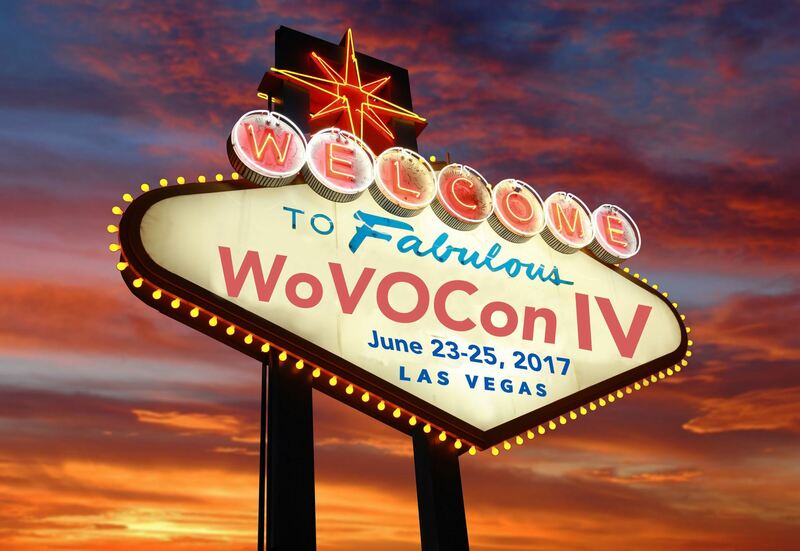 Thanks for registering for WoVOCon IV! We'll see you in Vegas! The Tropicana, Las Vegas, NV, U.S.A. Receive our group discount, 1/2 price resort fees and internet included by reserving your hotel room at The Tropicana HERE! We only have 50 rooms per night at the discounted rate with the additional amenities, so please book early. WoVO's room package offers a Club Deluxe room, complimentary high-speed internet access, 2 bottles of Tropicana water, unlimited fitness center access, 2 for 1 show tickets to Laugh Factory (Sun-Thurs), 2 for 1 cocktails at Biscayne from 5-8pm, complimentary access to hotel pool and complimentary self and valet parking.